A golfer's paradise, Hilton Head Island offers more than 30 premier golf courses situated on Hilton Head Island and the surrounding area of Bluffton South Carolina. We invite you to use the convenient links in the left margin of this page to explore the many possibilities awaiting you for golf travel to the Golf Island - Hilton Head Island. 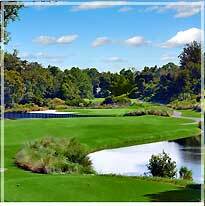 Enjoy world-class golf at Palmetto Dunes Oceanfront Resort on beautiful Hilton Head Island! At this premier South Carolina golf resort, play your best golf on three championship courses; Robert Trent Jones, Arthur Hills and George Fazio. Ranked four stars or better, the courses at Palmetto Dunes are visually stunning and designed to connect the natural surroundings of the island with a unique architectural course layout. Palmetto Dunes offers a golfing experience unlike any other with first-class amenities, pristine beaches, and the perfect accommodations for families or golf groups. Stay & Play Golf Packages and Multi-Round Specials allow you to customize your golf vacation any way you want! Only at Palmetto Dunes can you relax out on the course with an air-conditioned golf cart or make life easier by using a Segway, your very own personal golf transporter. Enjoy more activities at Palmetto Dunes than any other resort in the Southeast, including tennis, bikes, kayaking, fishing and more. Palmetto Dunes is the ultimate golfer’s retreat and is named one of the “World’s Best Golf Resorts” by Travel + Leisure Magazine. Plan your ideal golf vacation and have an unforgettable experience at Palmetto Dunes Oceanfront Resort. Great golf neither ends or begins at the bridge to the island, as the mainland offers a number of unforgettable layouts as well. At Old South Golf Links you will enjoy what every golfer seeks in the low-country - fairways wandering through maritime forests, greens shining in the sun surrounded by marshes, and abundant wildlife. Old South features three holes on each nine with spectacular views across the marshes along the Intracoastal Waterway. While the rest of the course meanders through old live oak, pine stands, and lagoons its challenge is fair for every golfer – beginner to professional. 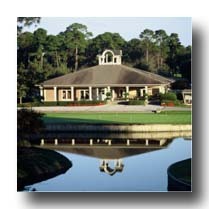 Hilton Head National opened its doors officially on November 1, 1989. The course is a Gary Player design and incorporates many of Gary's philosophies on golf course layout. Gary stresses that while golf courses should be challenging, they should not punish unduly. Hilton Head National is indeed, Gary Player’s kind of golf. First, there’s lots of it, 18-holes in two unique, yet equally challenging nines. If golf’s what brought you to the Lowcountry, you’d be remiss to miss Hilton Head National’s commitment to golf, pure golf, that has made it one of the most enjoyable links experiences in this golf-crazy region. These are the jewels of Hilton Head Island, where the quality of the golf rather than the quantity of the courses is something to experience.